Direct Payday Lenders No Third Party | Why QPLoans Only? Payday loans are becoming a common resource for emergency funds these days. If you are considering applying for one of these short term personal loans, then you already know the funding options available: direct and third party payday loan lenders. Direct payday lenders work directly with you to provide the loan. Third party lenders (Brokers) like QPLoans, work as middlemen between you and the lenders when securing the loan. Both brokers and direct lenders conduct marketing campaigns to attract clients. Both can gather information on your financial situation in order to determine whether to lend money to you. And both can help you better understand the application process and clarify any legal disclosures to you. However, there are some basic differences between the third party and direct lenders that you should be aware of. A direct payday lender is a company that will take and process your online application and make a decision (usually within a minute or two) as to whether they can lend to you based on their own credit scoring and risk rules. They will lend you their own money and transfer the funds directly into your account. You will later repay your loan back to them. With direct payday loan lenders, there are no multiple lenders; your payday loan application assessment, approval and transfer of funds is dealt by a single lending source. Therefore, it is comparatively less confusing. Absolutely no advertising of loan services from other online lenders. They do not share your private information to other lending parties. One other benefit of direct lenders is that it’s easier to solve any issues that might come up directly. Your broker may not be able to answer all the questions that the lender might have, so you might get better results talking to a lender directly. The main disadvantage of dealing directly with a direct lender is the limited choice of loan options that become available to you, both in terms of the type of products and individual deals on offer. Your choice of loan deals will be restricted to the lender’s products alone, potentially meaning that you miss out on the best option for your personal circumstances. If you choose to find a loan going through direct lenders instead of brokers, you have to apply individually to each lender. You fill in your details directly on the lender’s site, correspond with the lender directly, and have the repayments collected directly by that lender. When taking direct payday loans, it takes a lot of time to do all your research, find the right lenders to apply to, negotiate the deals you end up getting, understand the terms of your options, compare all your deals to each other, and so on. Securing a payday loan with a direct lender is doable of course, but can’t you just pay someone to do it for you? That’s where a Third Party lender like QPLoans come in. Unlike direct lenders, these do not actually issue loans. Their job is to find potential customers, then either match them with a lender or sell their information to lenders. They will guide you in filling in the details on their website. They will then hand these details to a lender for a fee that’ll either be paid by you, or the lender. In payday lending it is rare for a broker to work with just one lender so usually the application will go to multiple lenders. First, they have the experience of many transactions. This means that they can help you determine which options are the best for you and answer any questions that you may have. The more experience a broker has, the more likely they are to have seen any situation that may come up. Brokers also save you time. A smart broker can identify the most appropriate lender for your specific circumstances and know which loans will be most appropriate. Some brokers develop personal and professional relationships with lenders, which may accelerate the application process. They also handle the hassle of paperwork and interaction with lenders, which can help relieve stress from the process. A loan broker acts as your point of contact between you and the direct lender when you are having your loan approved. Because the broker has a good understanding of the direct lender’s approval guidelines as well as your financial situation, they are well placed to help you if your application hits a hurdle rather than leaving you to deal with the direct lender on your own. Another advantage is that they have access to a range loans from many lenders, which gives them a bigger scope to find the best loan suitable to you. When you meet with a loan broker, you are effectively getting access to multiple lenders and their loan options, whereas a direct lender only has access to what they are offering which may not be suited to your needs. Most people who have not worked with a broker before assume that the broker will charge them a fee, but that is not true. Instead, the lender actually pays the broker a commission because the broker generally reduces the lender’s costs in several ways. Because there is very little or no additional cost to the borrower, working with a cheap broker like QPLoans may be the best option. If you are a first time borrower, you may actually save some fees by working with a broker. Several different types of fees can be involved in taking on a new loan or working with a new lender, including origination fees, application fees, and appraisal fees. In some cases, brokers may be able to get lenders to waive some or all of these fees which can save you money. Third Party Lenders deliver personalized service. Personalized service is the differentiating factor when selecting a broker, and it’s the reason why QPLoans is the preferred partner for payday loans. You should expect us to help smooth the way, be available to you, and advise you throughout the closing process. 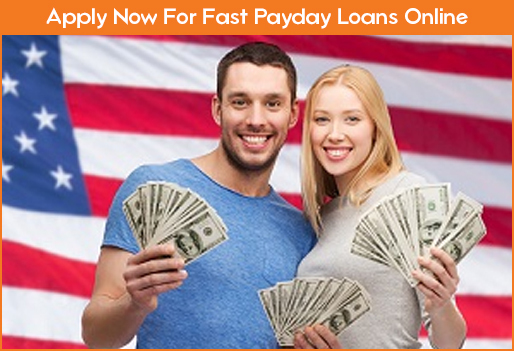 Emergencies are an inevitable part of life and there will come a time when you will need to apply for a payday loan. Whether you are applying for your first business loan, or contacting a direct lender about your fifth loan, the process and experience can be unnerving. You can try and handle the paperwork and applications yourself, or you can use the services of a professional third party lender to handle the deal.